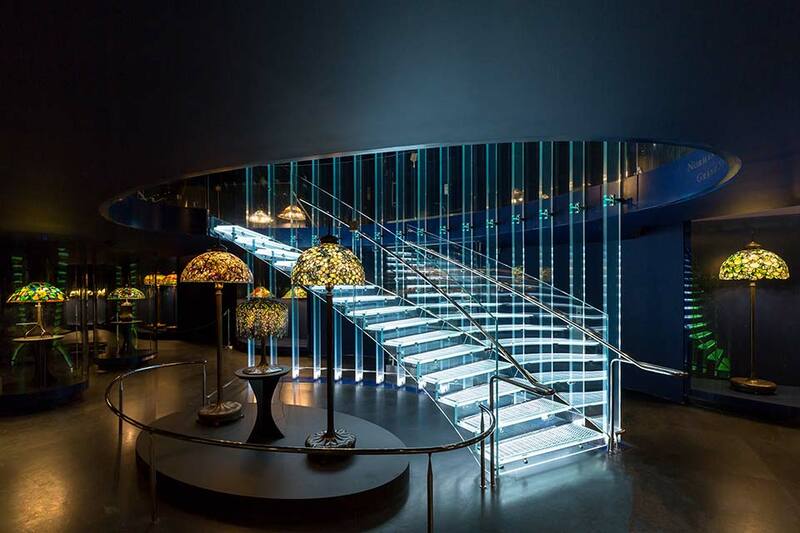 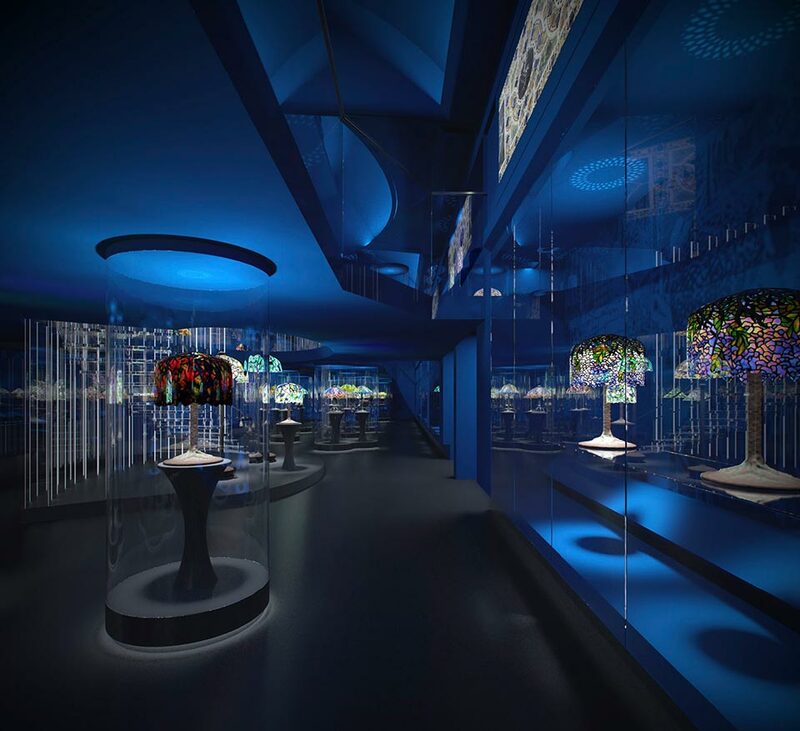 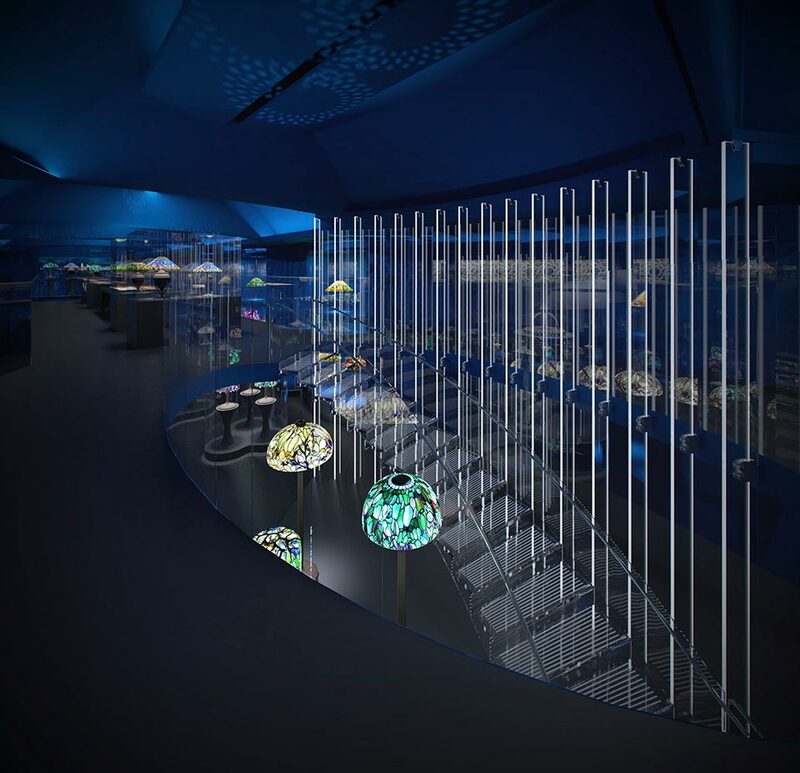 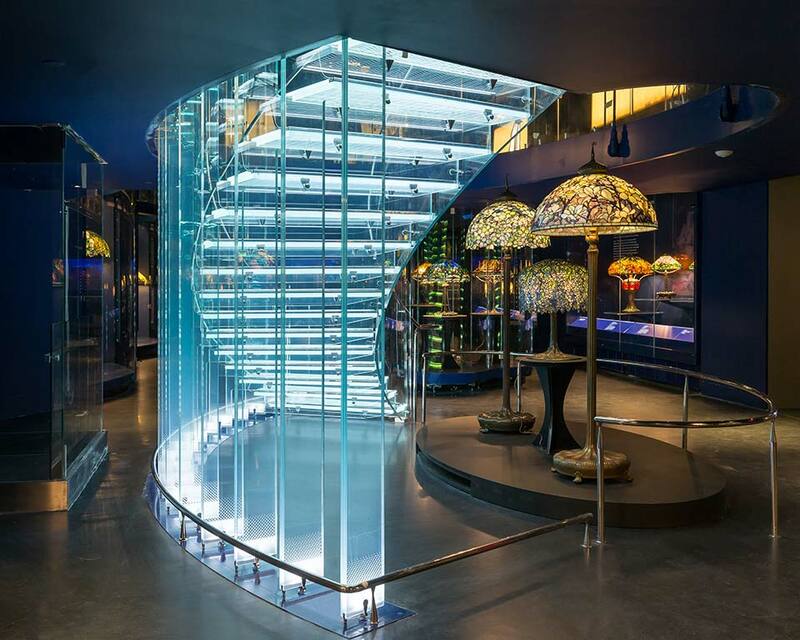 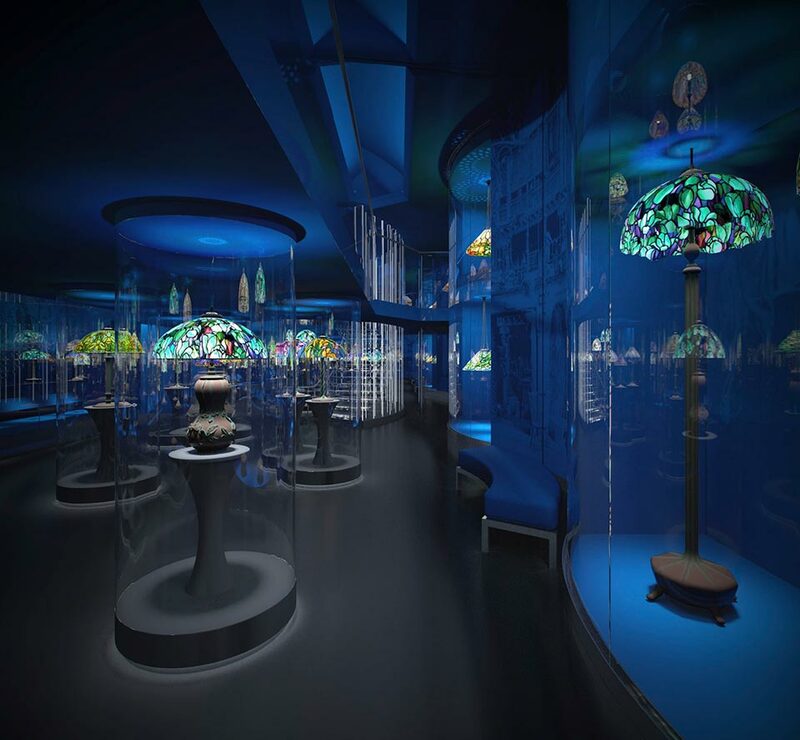 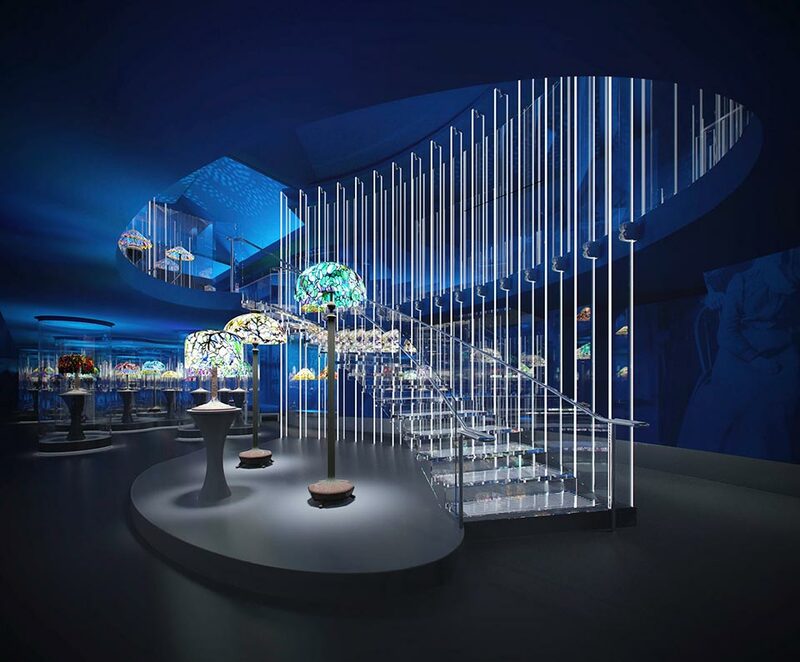 A glass staircase and curved glass balustrade have been proposed as a central feature for a new gallery to house the collection of Tiffany Lamps bequeathed to the New York Historical Society. 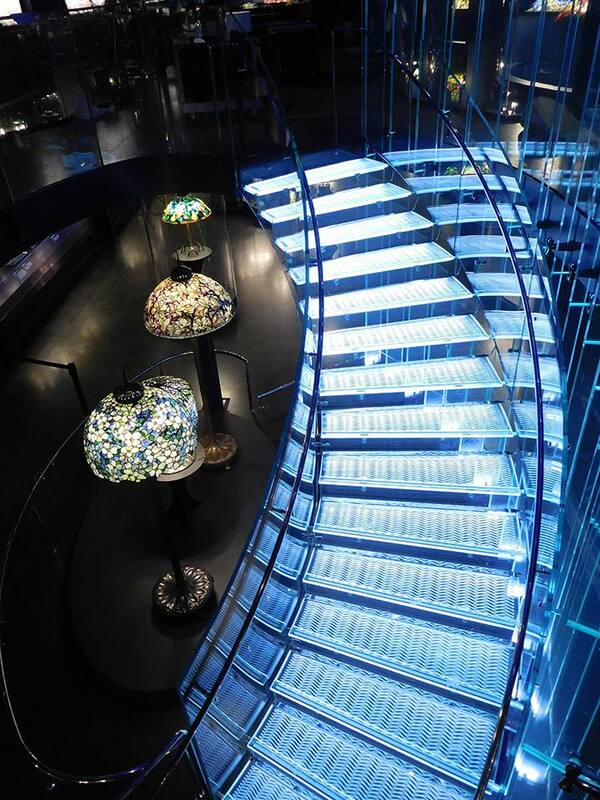 The single flight is gently curved on plan with each tread supported on cantilever glass fins. 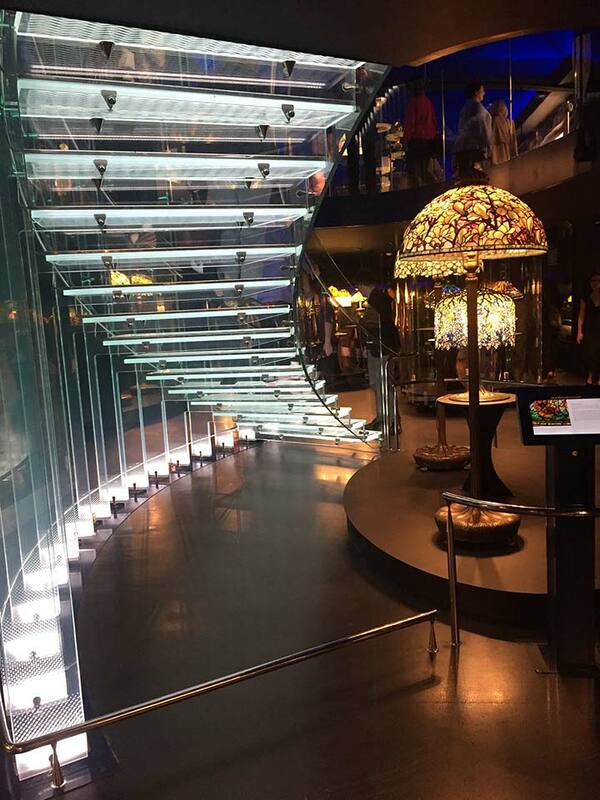 The treads and fins are laminated from heat strengthened glass and the stainless steel connectors have been designed complement the minimal design aesthetic.